Have you seen those people that walk their dogs by letting them run alongside their car? In my neighborhood there’s a few people that do that, and although they are providing physical exercise I question how safe and effective it is. But at least they’re exercising their dogs, right? Having a dog run alongside the car will provide physical exercise, but it’s not necessarily fulfilling a dogs mental or social needs. 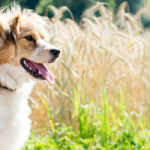 Keeping most dogs happy is about more than just physical exercise – it’s about finding the right balance of physical and mental exercise that’s right for your dog. 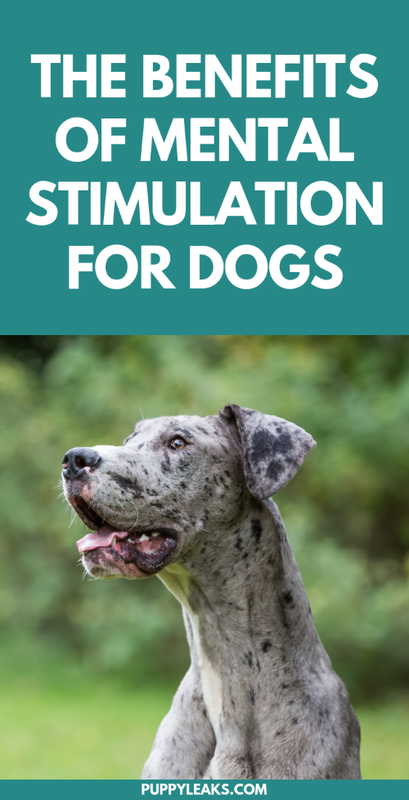 And when it comes to exercising your dog there’s plenty of ways to add some more mental stimulation into their routine. Take your dog walking routine for example. If you allow your dog to sniff around on walks or meet a few new people they’re getting more out of that walk than just physical exercise – they’re getting a chance to use their brains to explore and work on their social skills. For many dogs it’s the one time a day they get that “yipee! I’m free” moment – give them a chance to enjoy it and sniff around a bit. Walking alone isn’t why the daily dog walk is so important, it’s the chance for your dog to get out and see & smell what’s going on in your neighborhood. Dogs have been bred for thousands of years to work alongside us, and it’s our job to find new and creative ways to keep that role satisfied. A quick jog alongside your car is great cardio, but it’s not giving their brain much of a workout. Like us our dogs thrive with “jobs” to do, things that keep their minds occupied. Not all dogs need hours of mental exercise each day, but you’d be amazed at how much of a difference 5 minutes can make. We’ve all heard that a tired dog is a good dog, but there’s more a well behaved dog than just wearing them out physically. A dog that’s put on a treadmill isn’t getting the same sort of mental stimulation or social interaction that a dog on a long hike is. But that’s the problem with most advice – it doesn’t give you the whole story. Yes physical exercise is necessary and good for your dog, but it’s far from the only thing they need to be happy. 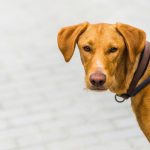 Physical exercise is great for dogs, but it’s not a substitute for training if your dog is exhibiting behavior problems. While many behavioral problems stem from boredom the answer isn’t always add more exercise. Many times just adding in 5 minutes of training or interactive play each day can help alleviate those issues. 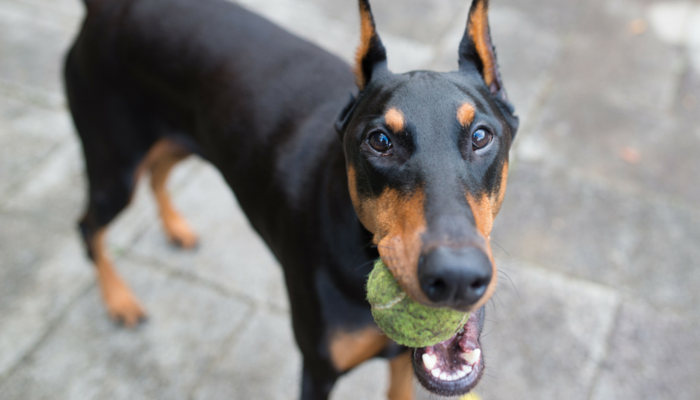 Keeping your dog busy, happy and healthy is a balancing act. You need to find the right combination of activities that help keep your dog busy & entertained, not ones that just wear him out physically. We all know that a tired dog is a good dog, but when your dog has ran 5 miles & still acts a fool it’s a little discouraging to say the least. And from what I understand that’s not uncommon at all for athletic breeds like Huskies. If your dog is still amped up after a nice jog you’re not alone – not all dogs get worn out from physical activity alone, and in some cases it just gives them more energy. The theory that a tired dog is a good dog isn’t exactly bad — but it doesn’t account for all dogs. I’m not advocating for less physical activity — I’m saying that many dogs benefits from some adding in some mentally stimulating activities as well. My dog is more relaxed after a quick walk & game of tug than she is after a long hike. Each dog has their own mental & physical demands, but luckily it’s not hard to find out what makes them happy — dogs are pretty open when it comes to showing appreciation. Add in just 5 extra minutes of interactive play or training each day and go from there. Some dogs will thrive with more – but it’s up to you to create that routine that works for your dog — the one that keeps them happy. So rather than just saying a tired dog is a good dog I like to say a happy dog is a good dog. And that happiness comes from keeping your dog busy with multiple activities — not just physical ones. 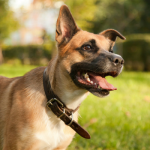 There are some dogs – my Laika included – that get more revved up the more exercise she gets. We can’t jog 5 miles a day even if she was game – she has arthritis and although she’s always ready for exercise she’ll be feeling it alter. The physical activity we do does keep her in shape, but it does nothing to calm her mind. That’s when I have to get creative and start giving her a job to do in our down time. One of the simplest ways to tire Laika out is to take her for a walk & then play a quick game of find the treats afterwards. If I skip that second game she’ll lay down for 10 minutes & be right back up & ready to go. That added mental activity is what really tires her out. You don’t have to get anything fancy to tire out your dog mentally. Play a game of tug, practice some nose work games or work on a new trick. 5 minutes of anything along those lines wears out my dog more than a 4 mile hike. 5 minutes of interactive play goes a long way when it comes to keeping your dog happy & healthy. After your daily walk add in a quick game of tug or ‘hide the treats.’ There’s a lot of simple indoor games you can play, choose a few that your dog enjoys and add them into your daily routine. 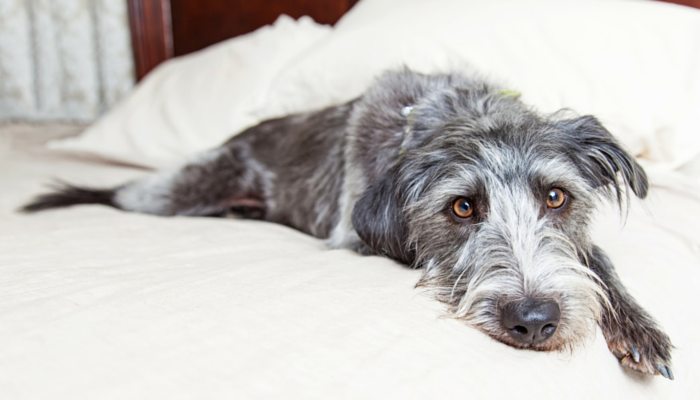 Those 5 minutes are so important for your dog, but something that’s often overlooked. Like us they love a routine, and once you add in a little “work” for them you they’ll be more relaxed and calm.Whether that work is getting their meals out of a food puzzle, stuffing a Kong or helping you with your laundry is up to you. Not all of us have access to a flock of sheep for our dogs to herd, and not all of us with dogs that love to use their nose is part of a search & rescue team. But what we can do is provide our dogs with simple activities to do at home — and it’s worth every single minute. We can’t all provide our dogs with those jobs they were originally intended for – but we can improvise and still meet those natural instincts they have. They want to work with us, they want to please us, and they want us to give them something meaningful to do. So yes a tired dog is a good dog, but there’s a lot more to it than a 5 mile jog. Adding more physical exercise is great, but it won’t solve all canine behavioral problems. 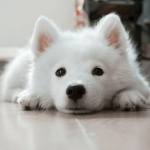 You can keep your dog entertained just by adding in 5 minutes of extra play each day. A happy dog is a good dog, and that happiness comes from creating a routine that works for your dog – one that includes physical & mental exercise. How Do You Keep Your Dog Happy & Entertained? Is a nice long walk or job good enough for your dog each day? Do you mix it up with some games & training exercises? Does your dog get even more amped up after a long walk like my dog Laika? How do you find the right balance? Great post!! Mental exercise is so important! It is, and for some reason we focus so much on just the physical aspect – which really just makes Laika more insane lol. And not to mention more sore because of the arthritis. Walks are the most enriching activity you can do with your dog…if you do it right LOL. The mental stimulation from new smells and sights is so great for our pups. Thanks for sharing this important information! We love to play a hide-the-treats game as well. It is amazing how much stimulation they receive from just a few minutes of play. Wears our boys out just as much as a long walk! I need more mental game suggestions please.